Experience the thrill of drift diving at Isla Verde near Puerto Galera and the eery WWII shipwrecks of Coron. 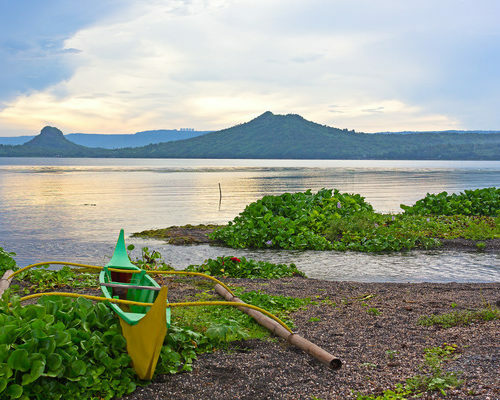 This itinerary will take you south of Manila for a chance to see the Taal volcano before you spend your holiday diving. 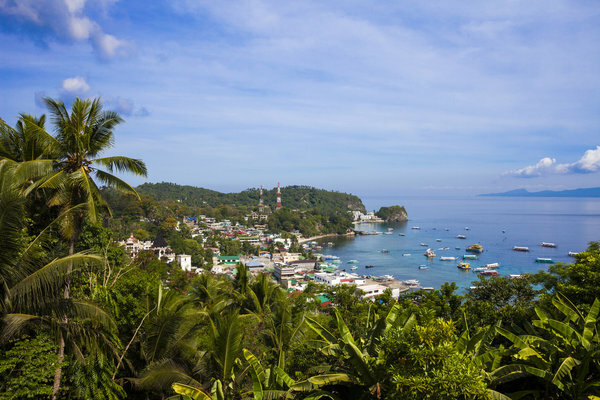 Puerto Galera is home to some shallow dives great for novices and those who love looking for macro life. 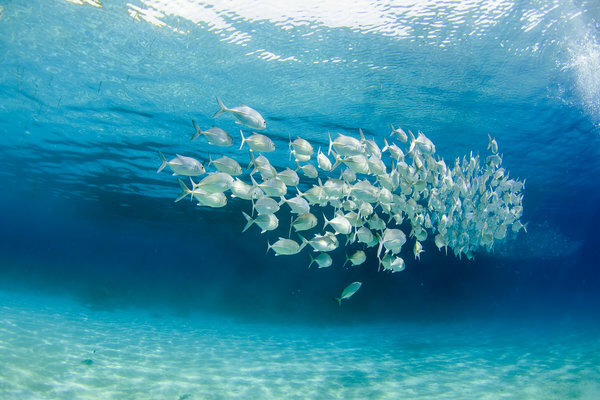 Experienced divers can cross the channel toward Isla Verde for some roaring drift dives along a colourful coral wall to spot big schools of fish. 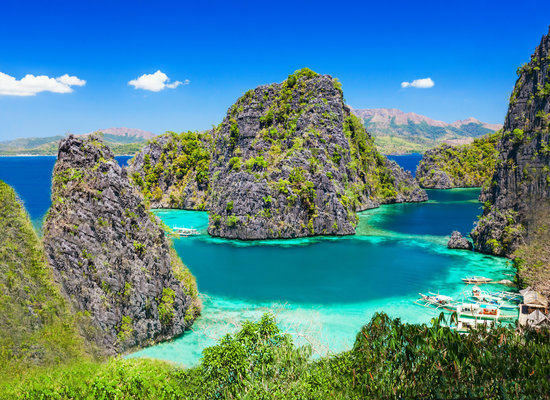 In Coron, penetrate a number of Japanese ships sunk during WWII or try a peculiar dive in Barracuda Lake where fresh and salt water in one very warm lake may play tricks on your eyes. Your driver and guide will collect you early this morning for the two-hour drive south to Talisay Lake. 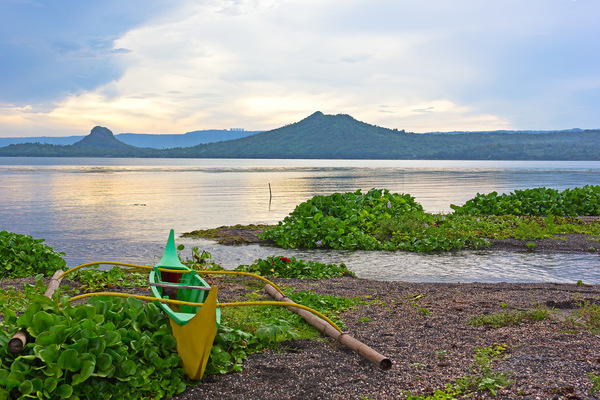 Board an outrigger boat to cross the lake to Taal Volcano and walk or ride a horse up the soft black sand to the rim of the crater. This active volcano is one of the smallest in the world and unique for being located on an island within a lake within an island. The afternoon will be yours at leisure. Your private driver will deliver you to the Batangas port this morning where you’ll get a private transfer by boat to Puerto Galera. Check out the beach, walk into town, and talk to the dive team about where you’ll be blowing bubbles over the coming days. 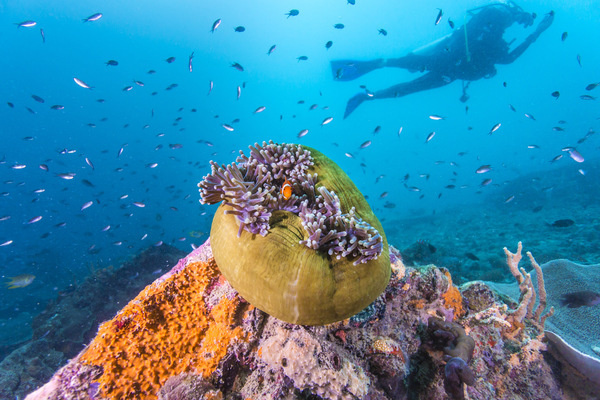 Enjoy four dives over these two days taking in the incredible diversity of marine life. 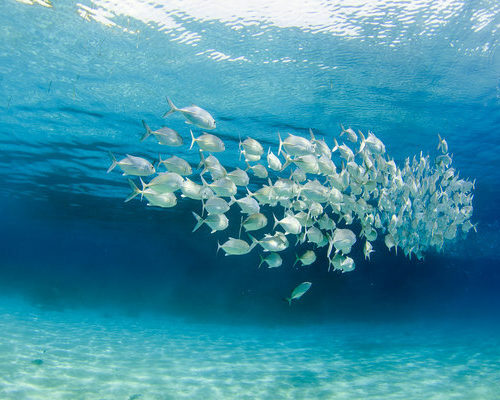 For advanced divers, enquire about supplementing your itinerary to include drift dives at Isla Verde. 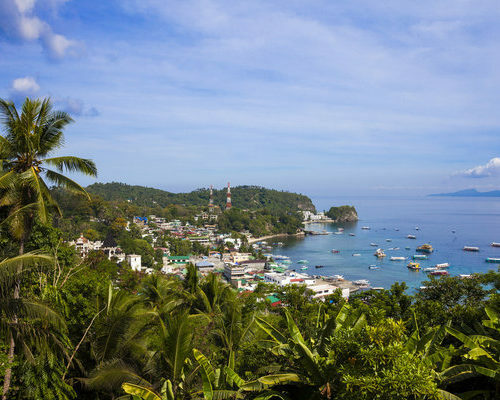 Have a “dry day” in Puerto Galera at your leisure before flying to Coron via Manila. 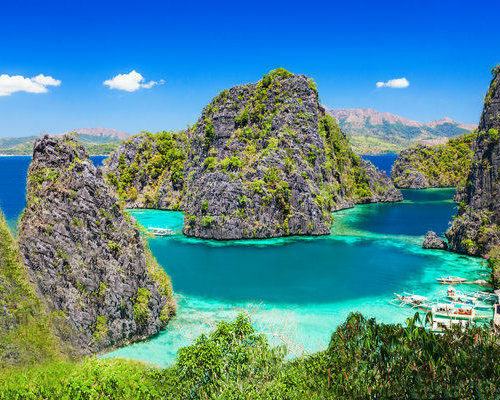 In Coron, you’ll be collected at Francisco B. Reyes Busuanga Airport and driven about 45 minutes to d’Pearl Bay where you’ll take a 5-minute boat ride to your hilltop accommodation for the remainder of your trip. 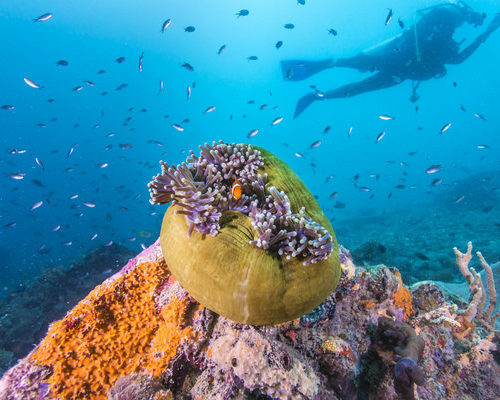 Talk to the dive team about your upcoming dives and other options for your stay. 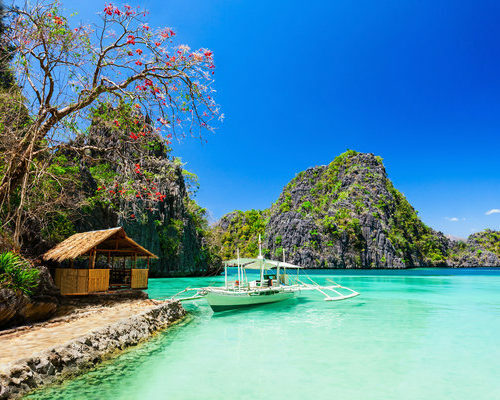 With 12 Japanese ships sunk during WWII, the unusual Barracuda Lake, and a few relaxing reef dives, there’s more than enough to keep divers happy for days. Your location puts you as close to the wrecks as possible meaning you can be amongst the first each morning to these beautiful sites. We haven’t included the cost of dives here giving you the flexibility to add in only as many as you wish. Use your final day before flying to paddle-board, visit the beach, or simply take it easy and begin plotting your return! 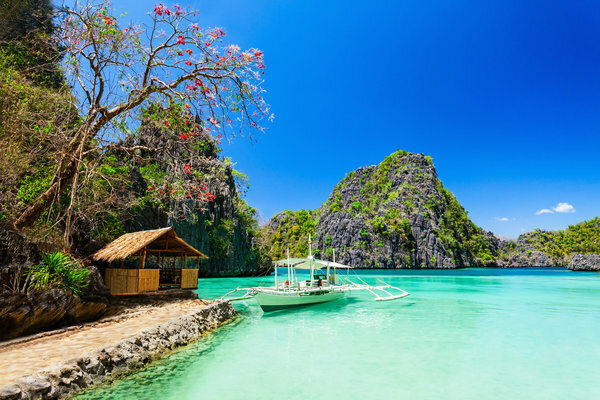 You’ll head back across the water and to the airport in Busuanga this morning to catch a flight to Manila and connect to your international flight home. Safe travels! 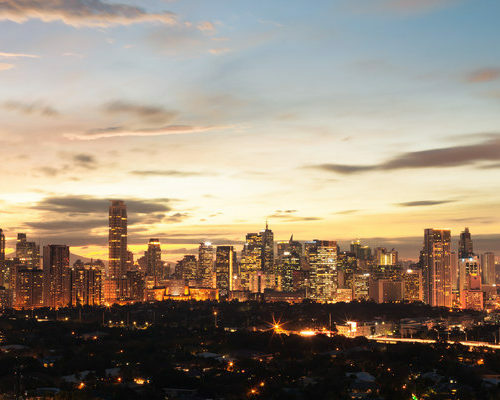 This itinerary costs from £1500 per person B&B and is based on two people sharing during the high season (Nov-May) excluding the Christmas and New Year, Chinese New Year, Easter, and other holiday periods. 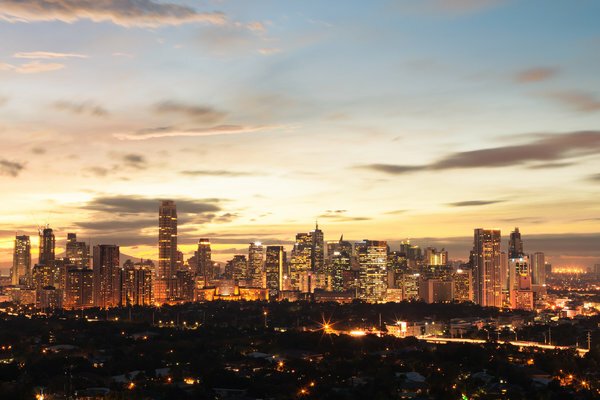 The price includes all private transfers and domestic travel but not international flights.